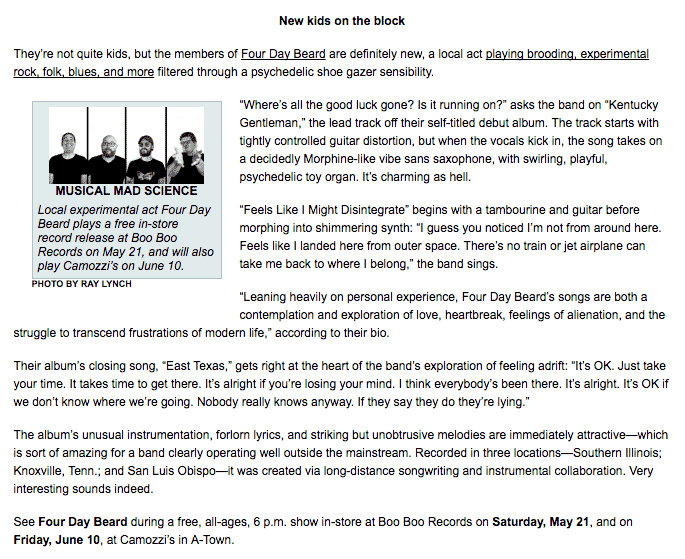 This week’s edition of New Times SLO has a pretty great review of Four Day Beard in the music section (scroll about halfway down the page). 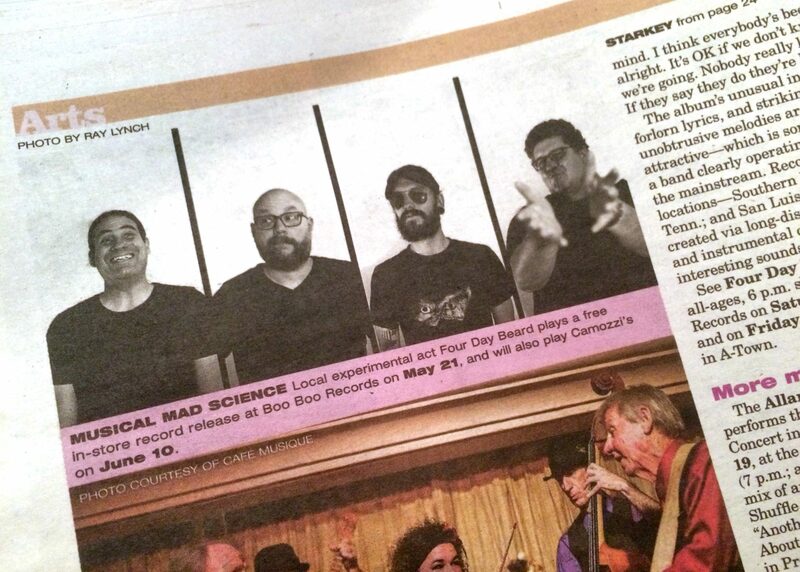 Thanks to Glen Starkey for such a thoughtful review. I’m not sure what happens to this article on their website next week, so Ive posted a screen capture of it here also. *Update* You can read the review on the New Time’s archive here. ← Album available on iTunes, Spotify et al.